We’re helping disabled athletes to live active lives. 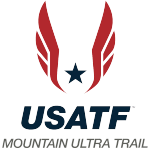 Please share this with your running friends, then plan to join us this April for the Cheyenne Mountain Trail Race. 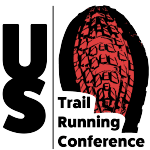 This event will benefit Achilles Pikes Peak, a local nonprofit that helps people with various disabilities to enjoy the trails and as we do. If you would like to volunteer, please contact Tim Bergsten at tim.bergsten@gmail.com. All runners will receive our one-of-a-kind Tech T-shirt. Medals to the top three overall male and female runners, and masters champions, in all three races. Prize money awraded in the 50K and 25K. Bring the family! There is a playground for the kids near the start/finish, and plenty of room to run. The coffee will be ready when you arrive, and we’ll have food for everyone, runners, family members, spectators, from Roman Villa, one of our running community’s favorite restaurants. The courses cross grassy meadows and pierce dark stands of timber beneath the granite face of iconic Cheyenne Mountain. The 50K and 25K course includes a “figure eight” layout with the start, finish and drop bag area located near the intersection of the “eight.” The 10K will be challenging but doable by anyone. Cheyenne Mountain State Park is a located about five miles south of downtown Colorado Springs. Volunteers will receive the official race shirt, and we’ll feed you. Schedule: The 50K starts at 8 a.m. and makes two laps (two complete “eights). The 25K begins at 8:30 a.m., with the 10K following shortly after. 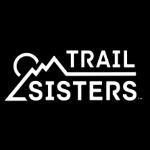 Packet Pickup/registration: Early packet pick-up and walk-in registration is set for 1-7 p.m., Thursday, April 27, and 9 a.m. to 7 p.m. April 28, at the Colorado Running Company in Colorado Springs, 5262 N. Nevada Ave, Suite 40 (in the University Village shopping center.) Race-day packet pickup and registration begins at 6:30 a.m.
Aid Stations: We’ll have three aid stations on course with plenty of food, water and Gatorade. If you want anything else to drink, please bring your own.